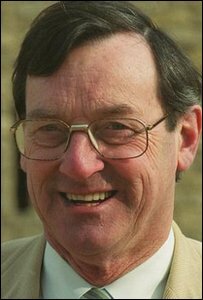 Broadcaster John Cushnie, a regular panellist on Gardeners' Question Time, has died following a heart attack. An experienced landscape gardener, who ran his own business, he featured on the BBC Radio 4 show for some 15 years. Cushnie, who was 66, also frequently featured on BBC Radio 2 and Radio Ulster. 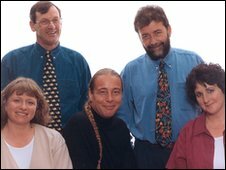 BBC Radio 4 controller Mark Damazer called him "a brilliantly knowledgeable panellist" who "laced every programme with warmth and joy". "John Cushnie was a towering figure on Gardeners' Question Time," said Mr Damazer. "His trademark acerbic wit was deployed with terrific timing against a wide variety of plants he did not like - and it was always done with an affectionate twinkle in his eye, with an exuberance of voice and with unrelenting sympathy for fellow gardeners." Cushnie, who gave frequent talks on gardening across Northern Ireland and Britain, also published a book, Ground Cover. His profile was boosted by recent appearances as the Hedge Man on Radio 2's Chris Evans Show, and presenting Greenmount Garden for BBC One in Northern Ireland. Previous television appearances included BBC One's Room With A View and Irish broadcaster RTE's Greenfingers. A regular columnist for the Daily Telegraph's Saturday gardening supplement, he also contributed to a string of specialist publications including Gardens Illustrated and Gardeners' World magazines. But he claimed his "real passion" was focused on his landscape gardening business, near his home in County Down. "His untimely death is a terrible shock,," continued Mr Damazer. "Everyone on the programme and his millions of fans will miss him hugely."